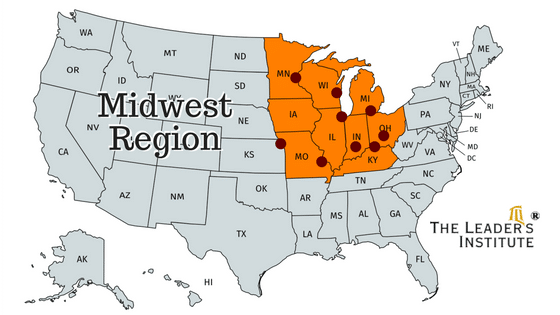 The Midwest Region includes our team building event instructors in and around Chicago and Columbus. In addition, our instructors in each of these cities cover a region from Minneapolis and Milwaukee to the west to Cleveland and Pittsburgh to the east. Our instructors also cover all major cities in Ohio including Columbus and Cincinnati as well. They facilitate all of our team building events and activities in this area. Since we have multiple instructors stationed in The Midwest, scheduling an event with us here is typically very easy and low cost. As a result, there is often no additional fee for travel here. One of our biggest offices in the world is in Chicago, Illinois, and the instructors based here cover a large area in a three-hour radius of Chicago. So whether you have a business meeting in Downers Grove or Naperville, you have a convention in Elk Grove Village, or your team schedules a retreat in at the Casinos in Gary, IN, our instructors will be able to put together the perfect team experience for you. All cities in Wisconsin are handled by our Chicago instructors, and the cities where we often teach are, of course, Milwaukee and Madison, but we also often lead programs in Kenosha and Green Bay as well. So if you are looking for an activity in Wisconsin, we have facilitators available for you. We have four instructors within a short drive of Indianapolis, Indiana. So, if you are looking for Indianapolis team building, we can lead programs for you for a very small travel fee. Both our Chicago instructors and Columbus instructor can cover surrounding areas like Cincinnati, Louisville and Lexington. * If you are looking for public speaking classes or presentation training at any of our locations, visit the Fearless Presentations ® page for a list of all of our upcoming presentation classes. The Detroit suburbs are great for events and meetings. Our Detroit office covers the entire state of Michigan as well as Ohio and Central Canada as well. So whether you have a meeting in Ann Arbor or Flint or if you have a retreat in Toronto, Ontario, our instructors have you covered. Our Detroit-based team building instructors conduct many events every year in Toronto and Mississauga as well as other major cities Ontario. We also conduct programs in Montreal and Ottawa as well, however, some team building events have a little higher charge in Canada because materials (like bikes for the Build-A-Bike® program) tend to cost a little more in Canada. Our instructors teach many, many programs each year in Cincinnati and Columbus as well as other major cities in Ohio like Cleveland and Toledo. So whether you have a meeting in Dayton, a retreat in Dublin, or reward for your employees in Akron, our instructors are available for you. Our team building programs in Pittsburgh are taught by either or Detroit or Philadelphia-based instructors based on availability, so travel expenses are typically fairly small. Want Something Specific, or Need Help Deciding? 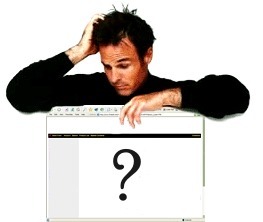 Let Our Instructors Know What You Need or Send an RFP by Clicking Here.